James O'Toole is the Daniels Distinguished Professor of Business Ethics at the University of Denver’s Daniels College of Business. O’Toole’s research and writings have been in the areas of leadership, philosophy, ethics, and corporate culture. 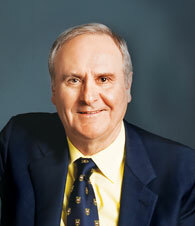 Among his sixteen books, Vanguard Management was named “One of the best business and economics books of 1985” by the editors of BusinessWeek. His latest books are Creating the Good Life: Applying Aristotle’s Wisdom to Find Meaning and Happiness (2005), The New American Workplace (with Edward Lawler, 2006), and Transparency (with Warren Bennis and Daniel Goleman, 2008). He won a Mitchell Prize for a paper on economic growth policy, has served on the Board of Editors of the Encyclopaedia Britannica, and was editor of The American Oxonian magazine. In 2007 he was named one of the “100 most influential people in business ethics” by the editors of Ethisphere, and one of “the top 100 thought leaders on leadership” by Leadership Excellence magazine. »Bottom of the Pyramid: Companies and B-Schools explore to exploit? »Blood Diamond: A Hollywood Flick Inspiring Business Ethics?